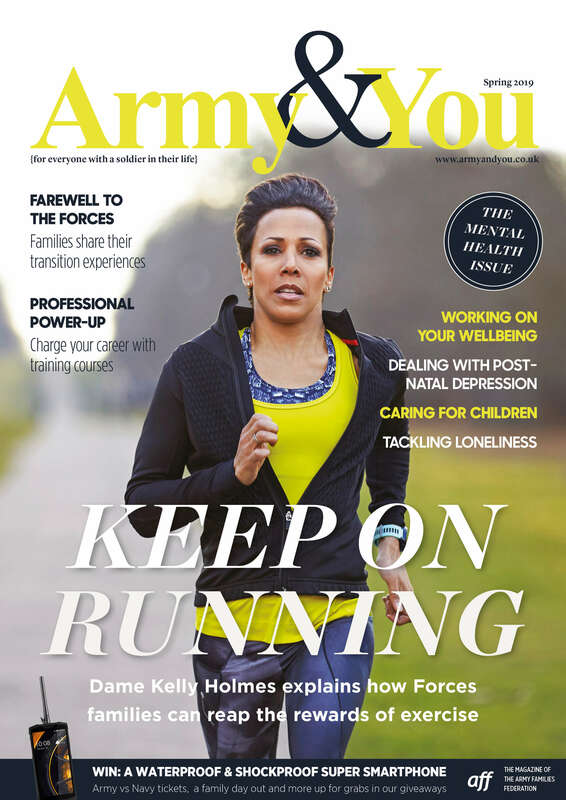 Isolation, separation and mobility can all impact on Service families’ mental health and emotional wellbeing, so AFF is working in partnership with various organisations to promote awareness of these issues. We are also asking for some specific research to be done around families’ mental health and wellbeing with a particular focus on children’s mental health and the support available. ‘Transforming Children and Young People’s Mental Health Provision: a green paper’ was published by the Government in December 2017. In this paper they detailed their ambitions through proposals to create a network of support for children and young people, and their educational settings. They have three core proposals. To pilot a four week waiting time for access to specialist NHS children and young people’s mental health services. These three core proposals will be trialled in new trailblazer areas, with the first wave envisaged to be operational by the end of 2019. Their commitment is to roll out this new approach to at least a fifth to a quarter of the country by the end of 2022/23. young people aged 16–25 felt those out of education should still be able to access mental health support, with services designed around their specific needs. To read this paper in full, click here. Mind – Gives information about where children and young people can get support with a mental health problem. The MOD is using health data research and innovation to support a mental health and wellbeing operating model. This model aims to effectively promote positive mental health and wellbeing, prevent and detect the onset of mental health illness and treat it when diagnosed. The MOD aims to achieve this by working in partnership with health and third sector providers. The strategy is being delivered by four groups, one being the Mental Health and Wellbeing Steering Group (MHSG), and this group is accountable for the delivery of four main objectives. These objectives are regularly monitored and fed back to the Defence People health and wellbeing board. provision of resilience training for Service personnel. The future aim is to develop the five-year Defence People mental health and wellbeing implementation plan with four strategic aims. This will be achieved through promotion, prevention, detection and treatment. Read this report in full here. Handy wallet cards promoting mental health awareness and wellbeing have been sent to UK garrisons, units and stations. The wallet cards feature a set of five signs associated with mental health, and is a simple self-check to help identify potential early signs of stress or poor mental health. The Combat Stress 24-hour mental health helpline for serving personnel and their families is provided on the reverse side. It is estimated that more than 1 in 10 women suffer from a mental health illness during the perinatal period (during pregnancy and one year after birth). AFF has received a number of enquiries from women suffering from PND who do not feel they are receiving the required support from the chain of command or from NHS services. Sound familiar? Contact Karen Ross at additionalneeds@aff.org.uk so that we can investigate this further. Pregnancy and childbirth is a life changing event for both parents. It is common for many women in the first few days after childbirth to experience the ‘baby blues’. You may feel tearful, irritable, find it difficult to sleep and have a lack of appetite. However, these symptoms should improve after a few days; if they don’t you may be developing postnatal depression (PND). If you think that you, or someone you know, may have PND, the following organisations can offer treatment and support. MMHA’s campaign, Everyone’s Business, is asking that women in the UK who are experiencing perinatal mental health illness receive the care they and their families need. H4H Hidden Wounds is a free and confidential service designed to help equip you and your loved ones with the tools to manage and overcome the everyday challenges of living with anxiety, depression and stress. BWW is an online service offering safe, free, anonymous, early intervention psychological support for veterans, serving personnel and their families with 24 hour access to professional councillors. The website is permanently monitored by trained counsellors who provide help and support; complete anonymity is at the core of their service. The Ripple Pond is a network of local, peer-led, self-help support groups for the family members of wounded, injured and sick Servicemen and women, Reservists and veterans. The AWS Personal Support teams are both trained military and civilian Army Welfare Workers and Casualty Key Workers. Their role is to help and support married or single Service personnel and their families by providing a confidential, non-discriminatory, professional and specialised welfare service. The AWS team can assist with a range of issues such as problems with relationships, substance abuse and mental health concerns, as well as assisting with problems arising from deployment and disability. Army Welfare Workers are trained to support, advise and encourage personnel to manage their problems more effectively. The AWS team can assist with a range of issues including relationship problems, substance abuse, mental health concerns, problems arising from deployment and disability. To contact AWS Intake and Assessment Teams (IAT), call 01904 882053 or 882054 or email AWS-HQ-IAT@mod.uk. Counselling Directory is a confidential service that can help people find mental health support. To use this website just enter your postcode and find a qualified counsellor or psychotherapist nearby, who specialises in the support you require. Has your soldier received treatment for anxiety, depression, adjustment disorder or PTSD? If so, would you like to share your experience? Emma Senior, a student at Northumbria University, is conducting a study about the experiences of military spouses and partners. She is looking for participants to take part in two to three, half hour interviews to discuss your experience, treatment received and support available. To find out more and register your interest, contact Emma at emma.senior@northumbria.ac.uk or on 07800 585134.